When I was fresh out of college and starting my first job, my dad convinced me that I needed to start saving for retirement. 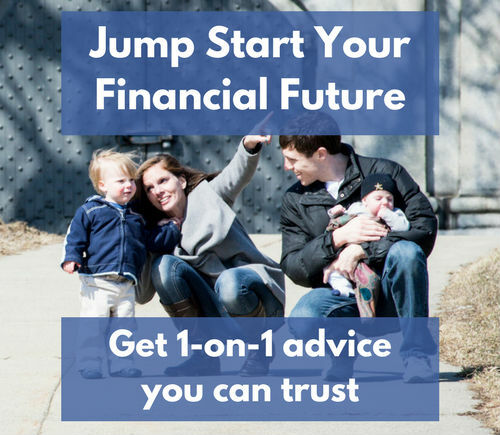 He told me that even if I could only afford to save a little bit, saving money now would make it a lot easier to reach financial independence later on. Thanks Dad! 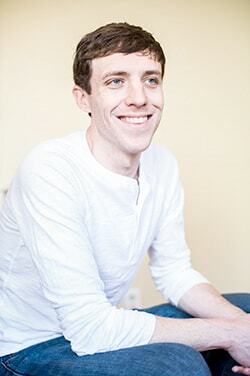 At the time I was working for a small start-up without an employer-provided retirement plan. So I needed to figure things out on my own and quickly found my way to the IRA. What an ingenious little device! A retirement account you can set up yourself and invest pretty much however you want? Cool! As I went through the process of opening an account, I quickly discovered that I needed to make a choice: Did I want to open a Traditional IRA or a Roth IRA? I was young and in a low tax bracket. Someday I would be older and in a higher tax bracket. Given that, I should pay the taxes now to get tax-free income later. Makes sense right? It certainly did to me at the time, so I opened a Roth IRA and happily contributed to it for years without so much as a second thought. But as I continued to learn more about money, I discovered that the logic that leads people to a Roth IRA is flawed. In fact, the Traditional vs. Roth IRA debate looks a lot different when you actually run the numbers instead of relying on conventional wisdom. So in this article I’m going to show you the truth behind the Traditional vs. Roth IRA debate in the hopes that you can make a more informed decision than I did when I started out. Let me get this out of the way right up front: as long as you’re saving for retirement, you’re doing a great job. The most important decision you can make, by far, is to start saving money, not which IRA you choose. With that said, the ultimate goal of investing is to end up with the money you need at the point in time when you need it. And if there are easy ways to make that outcome more likely, you should take advantage of them. The problem with the conventional wisdom in the Traditional vs. Roth IRA debate is that it’s mathematically incorrect, and it therefore leads some people down a less efficient path. It’s not a bad path, it’s just that for many people there’s a better one that will help them reach their goals more easily. In order to explain where the conventional wisdom goes wrong and how you should think about it instead, I’m going to have to back up a little bit and make sure we’re on the same page with some basic definitions first. Let’s get that out of the way now. 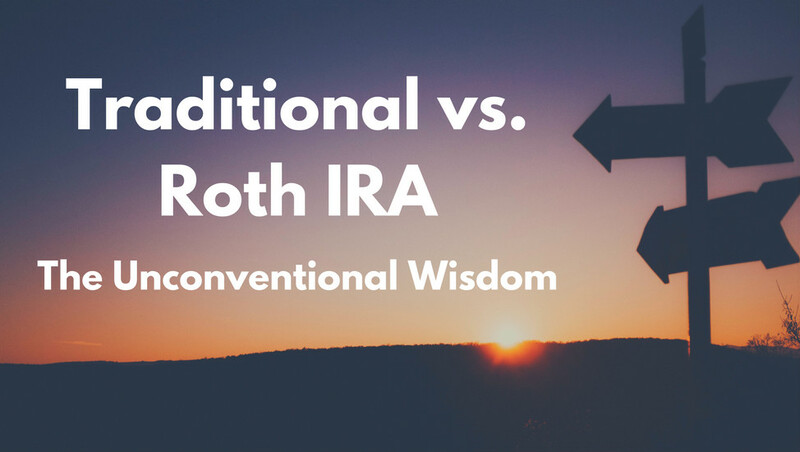 There are several ways in which a Traditional IRA differs from a Roth IRA, but for now I’m only going to focus on the biggest difference. We’ll get into some of the other pros and cons in a bit. The biggest difference between a Traditional IRA and a Roth IRA is how they are taxed. Money contributed to a Traditional IRA is treated as a tax deduction in the year of the contribution. This lowers your taxable income for the year, giving you an immediate benefit. As an example, if you’re a married couple in the 15% tax bracket and you contribute the maximum $11,000 to your Traditional IRAs in 2017, you will save yourself $1,650 in taxes (0.15 * $11,000). The flip side is that when you actually reach retirement and start taking money out of the account, those withdrawals will all be taxed as regular income. In other words, you take the tax break now with the agreement that you’ll pay taxes later. The tax treatment for a Roth IRA is exactly the opposite. Your contributions to a Roth IRA are not deductible and therefore do not save you any money on this year’s taxes. But your withdrawals in retirement are 100% tax-free. In other words, you pay taxes now in order to access the money tax-free later on. The last thing we need to talk about before we get into the real meat of the comparison is the difference between a marginal tax rate and an effective tax rate. Don’t worry, I’m not going to get too technical here. But understanding this difference is crucial to making a true comparison between a Traditional and Roth IRA. Your marginal tax rate is the tax rate you pay on your last dollar of income. If you’re in the 15% tax bracket, your marginal tax rate is 15%. Your last dollar earned is taxed at 15%, and if you earn another dollar it will also be taxed at 15%. But you didn’t pay 15% in taxes on your entire income. In fact, with the standard deduction and personal exemptions, there’s a good chunk of your income that you didn’t pay any tax on at all. And because of our progressive tax code, there’s another chunk of it that was only taxed at 10%. So your effective tax rate is calculated by dividing your total taxes paid by your total income and will usually be significantly lower than your marginal tax rate. Let’s look at a simple example of a married couple with 1 child earning $53,000 per year. They are in the 15% tax bracket for 2017, meaning their marginal tax rate is 15%. But what’s their effective tax rate? You can look at my worksheet here to see the calculations, but the end result is that the couple’s effective tax rate is only 4.37%. While they owed 15% in taxes on the last dollar they earned, their total tax bill only comes out to 4.37% of their income. Again, this is because of various deductions, credits, and our progressive tax code, all of which adds up to an effective tax rate that’s much lower than the couple’s marginal tax rate. So, what’s the real Traditional vs. Roth IRA Comparison? Okay, now that we’ve gotten all of those definitions out of the way, it’s time for the real meat of this comparison: how you should really be making the decision about contributing to a Traditional IRA vs. a Roth IRA. Note: These numbers work the same way if you have the choice between a Traditional 401(k) and a Roth 401(k). The conventional wisdom behind the Traditional vs. Roth IRA comparison looks at your marginal tax rate today vs. your marginal tax rate in the future. That’s is wrong. What you need to do instead is compare your MARGINAL tax rate TODAY with your EFFECTIVE tax rate in the FUTURE. Tax brackets are large, typically spanning tens of thousands of dollars. Given that, the $11,000 maximum 2017 Traditional IRA contribution for a couple is unlikely to move you into a lower tax bracket, unless you’re starting near the bottom of a tax bracket. So the most likely scenario is that it saves you money entirely at your marginal tax rate. But your withdrawals in retirement will likely be larger – possibly tens of thousands of dollars due to the investment returns you earn over the years – making it much more likely to move through multiple tax brackets and therefore be taxed at an effective tax rate. Let’s look at an example. 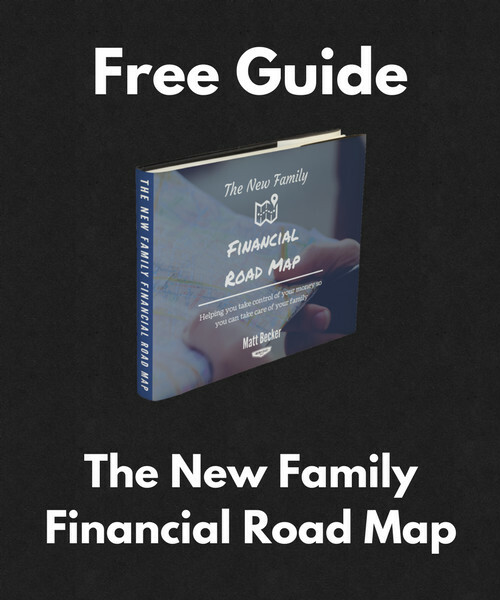 You can follow my calculations in this workbook here: Traditional IRA vs. Roth IRA Comparison. We’re looking at the same married couple as above, making $53,000 with one child. This puts them in the 15% tax bracket (their marginal tax rate). They can afford to contribute the 2017 maximum of $11,000 per year their Traditional IRAs. Or they could contribute to their Roth IRAs, in which case they could only afford to contribute $9,350 per year due the 15% in taxes they’d have to pay first. I use a 5% inflation-adjusted annual rate of return so that all of our numbers are in today’s dollars. I’m assuming that all of our tax policies stay the same over the years. This clearly won’t happen, but since we have no idea what WILL happen it doesn’t really make sense to speculate. The conventional wisdom says that their 15% tax bracket is low and they should therefore contribute to a Roth IRA. So how does it actually play out? Well, when we actually run the numbers, as you can see in the spreadsheet linked above, we discover a few things that really challenge the conventional wisdom. With the Roth IRA, they end up with $652,263 after 30 years of saving for retirement. Using the standard 4% withdrawal rule, that would give them an annual retirement income $26,091 that is 100% tax-free. With their estimated $22,968 in Social Security income (yes, you can count on it), their total after-tax income comes to $49,059. With the Traditional IRA, their balance after 30 years is $767,369. It’s about $115,000 higher than the Roth IRA because the tax deduction allowed them to contribute more. But the withdrawals will be taxed, so that’s not the full comparison. Now remember, the conventional wisdom says that because they’re in the 15% tax bracket both now and in retirement, they should end up with the same amount of income whether they contribute to a Traditional IRA or a Roth IRA. But when we apply the 4% rule to their Traditional IRA balance, we see that they can withdraw $30,695 per year before taxes. Then, when we add the $22,968 in Social Security income and estimate their tax liability, we see that they only owe $748 per year in taxes, leaving them with $52,915 in after-tax income. I don’t know about you, but I would rather have that extra $3,856 every year. What’s the reason for the difference? The big reason why the Traditional IRA comes out ahead has to do with the difference between marginal and effective tax rates that we talked about above. In this particular example, the couple’s Roth IRA contributions would be taxed at the MARGINAL rate of 15%, while their Traditional IRA contributions would be tax-free. At the other end, their Roth IRA withdrawals would be tax-free while their Traditional IRA withdrawals would be taxed at an EFFECTIVE rate of 2.44%. So by going with a Traditional IRA in this example, the couple would essentially be choosing to pay 12.56% less in taxes, even though their marginal rate would be the same at each point in time. Over 30 years of saving that adds up to a significant difference. To be clear, this doesn’t mean that a Traditional IRA is always better than a Roth IRA. There are many variables that might make your specific situation different from the example shown here. Some of those variables will tilt the scales in favor of a Roth IRA. Others will tilt them in favor of a Traditional IRA. But what should be clear is that the conventional wisdom behind the Traditional vs. Roth IRA debate is wrong. You cannot simply compare your tax rate now to your expected tax rate in the future. Doing so drastically underestimates the value of a Traditional IRA. So with that in mind, let’s look at some of the other factors that should play into your decision. Clearly, a Traditional IRA is often a better deal than it’s considered to be, even for young investors and even for people currently in low tax brackets (people for whom the Roth is almost universally recommended). But there are plenty of reasons why a Roth IRA still might be a better choice. Here are five of the biggest. 1. You aren’t a robot. You’ll probably contribute more to a Roth IRA. To fairly compare Traditional IRA contributions to Roth IRA contributions, you have to make adjustments for taxes. A contribution of $X to a Traditional IRA is really not the same as a contribution of that same $X to a Roth IRA, because a Traditional contribution is tax-deductible (but will be taxed later) while a Roth contribution is after-tax (but will not be taxed later). The current tax savings you get from a Traditional IRA contribution means you can fit a bigger contribution in your budget. That difference was illustrated in the example above in which the couple was deciding between either maxing out their Traditional IRA ($11,000), or contributing the equivalent after-tax amount to a Roth IRA ($9,350 in the example with a 15% tax bracket). An alternative way to compare equivalent after-tax contributions would be to compare an $11,000 Roth IRA contribution with an $11,000 Traditional IRA contribution PLUS an investment of the tax savings offered by that Traditional IRA contribution to a different retirement account (like a 401(k)). But the reality is that while that’s a mathematically correct comparison, people aren’t robots and don’t often think like this. A lot of people will simply decide that they have $X to contribute. For example, they may want to max out their IRA the choice is whether to put that money into a Traditional IRA or a Roth IRA. If that’s the choice, then a Roth IRA is better because you end up contributing more after-tax dollars. $5,500 that will never be taxed is more than $5,500 that will eventually be taxed. It’s as simple as that. So while we can certainly debate about which is better based on the technically correct math, and while you certainly CAN use that information as part of your decision making process, in terms of actual behavior many people will end up contributing more after-tax dollars to a Roth IRA than a Traditional IRA simply because the mental accounting is easier. If you’re willing to put in some extra effort and add that extra investment on top of your Traditional IRA contribution, then great! 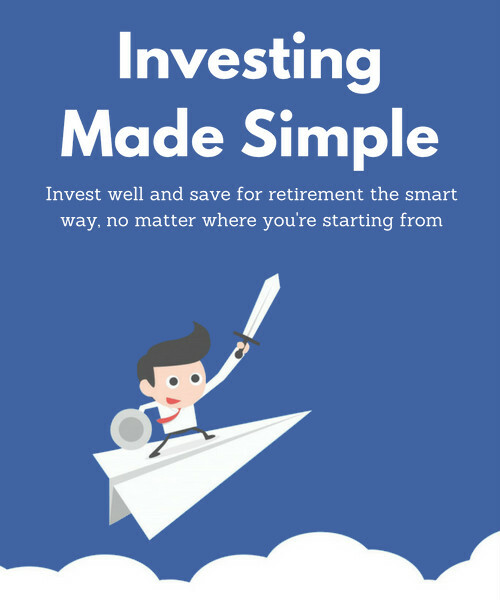 But if not, then the simplicity of maxing out the Roth IRA is likely to be your best bet. It may not be mathematically perfect, but you’re not a robot and you don’t have to act like one. The example in that first chapter assumed that your IRA was your only source of retirement income beyond Social Security, and that likely won’t be the case. The reason this matters is that any other income you’re counting on will fill up at least some of those lower tax brackets that served to make the effective rate on the Traditional IRA withdrawals so low. If you have enough other income, then your IRA withdrawals will end up being fully taxed at your marginal rate in retirement. The most likely source of income for most people is their 401(k), which wasn’t factored in here. Most 401(k) contributions are made pre-tax, meaning that they’ll be taxed when they’re withdrawn. That increases the amount of taxable income you’ll have in retirement. But there are other potential sources of income as well. Some people still have a pension (lucky dogs!). Others plan on doing part-time work well into their retirement years. Others will have investments in regular old taxable accounts pumping out interest and dividends each year. The point is that wherever it’s coming from, any income in addition to withdrawals from a Traditional IRA can increase the effective tax rate on those withdrawals. Depending on the amount of that income, it could be beneficial to have some tax-free Roth money to avoid extra taxes. Now to be clear, this doesn’t mean that having other income automatically makes a Traditional IRA a bad choice. Far from it. It just means that other income sources need to be considered when making the Traditional vs. Roth IRA evaluation for yourself. Just like it’s a good idea to diversify your investments, there can be value in diversifying the tax benefits offered by a Traditional IRA vs. those offered by a Roth IRA. See, framing this as a battle between different types of IRAs is a little misleading. Because the reality is that you don’t have to choose one or the other. You can choose to do a little of each and there are certainly arguments for doing so. Having some money in a Traditional IRA will give you the opportunity to fill up at least some of those lower tax brackets in retirement. This will let you save more in taxes today that you’ll have to pay back later. And having some money in a Roth IRA will protect you from the risk of higher tax rates in the future, either because of changes to the law or because of an increase in your income. Keep in mind that diversification doesn’t have to mean a 50-50 split between the two. It can be any proportion you want. But there is certainly some merit to this type of approach. At its core, a Roth IRA is simply a way for you to pay now for certainty later. 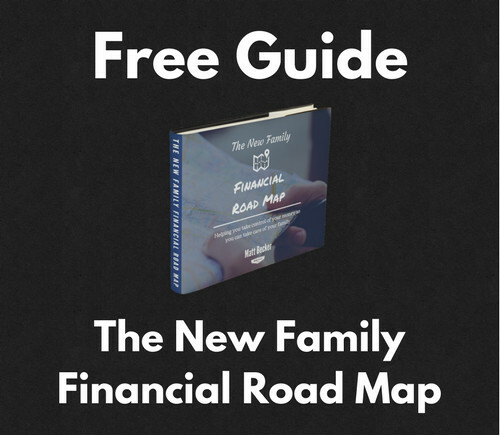 The reality is that we don’t know what the tax laws will be years down the road, and it can be comforting to know that you have some money you’ll be able to access tax-free. We can run all of the numbers and do all the math to try and determine the “optimal” approach, but in the end you may just want the assurance of a Roth IRA. In some ways, the Roth IRA is the ultimate savings account, with built-in flexibility that a Traditional IRA simply can’t match. Here are some of the main features. Availability of contributions – Any contributions you make to a Roth IRA are available for you to withdraw at any time without tax or penalty. In most cases this probably isn’t advisable, but it’s an option that can be useful in certain situations and isn’t available with a Traditional IRA. College savings – A Roth IRA can actually be a good place to put your college savings. You can withdraw up to the amount you’ve contributed tax-free and penalty-free at any time and for any reason, and you can withdraw amounts above that penalty-free if the money is used for higher education expenses (though you will be taxed). Plus, if you don’t end up needing the money for college, you can simply keep it in your account for retirement. Continue contributing for longer – Roth IRAs allow you to continue making contributions past the age of 70.5. Traditional IRAs do not. This means that if you have earned income later in life, a Roth IRA can be a good way to continue getting some tax benefits. Required minimum distributions – With a Traditional IRA, the government will eventually force you to start taking withdrawals, typically at age 70.5. Roth IRAs do not have this requirement as of now, though there have been proposals in Congress to add it. Estate planning – There are various reasons a Roth IRA can be useful for estate planning, particularly if you have money that you want to pass on to children. You can find a good overview of those reasons here: Estate planning opportunities with Roth IRA conversions. The bottom line is that Roth IRAs are fantastic accounts and there are many situations in which using one is absolutely the right decision. But now let’s look at a few more reasons why you might consider a Traditional IRA instead. If all of the above wasn’t enough to make your head swim, now I’m going to give you 3 more reasons to consider contributing to a Traditional IRA. These three things aren’t talked about much when people debate this topic, but in the right situations they could save you a lot of money. As the law stands right now, everyone has the ability to convert as much Traditional IRA money to Roth IRA money as they want at any time, without limit. What that means is that you can contribute to a Traditional IRA today to take advantage of the tax deduction, and then later, at a time of your choosing, CONVERT some or all of that money to a Roth IRA. You’ll pay taxes on the money you convert, but this can be a HUGE benefit if done correctly. Jack and Jill are a married couple making $75,000 per year, putting them squarely in the 15% tax bracket. Their state also has a 5% income tax, so their total income tax rate is 20%. They could choose to contribute to a Roth IRA this year and lock in that 20% rate on the contribution. Or they could choose to contribute to a Traditional IRA, save the 20% in taxes, and give themselves some flexibility. A couple years down the road, let’s say that Jack and Jill have saved some money and decide that they want to take a big risk. They’re going to quit their jobs and start the business they’ve always dreamed of running together. Exciting, right? Very exciting! But the reality is that they’ll probably have little to no income for the first year, and maybe even the second year as well. Not great, but it does give them an interesting opportunity. If they have money in a Traditional IRA – money that they saved 20% in taxes on when contributing – they could use those low-income years to convert some or all of it to a Roth IRA. They would be taxed on the conversion, but because of their lack of other income they could potentially convert at least some of it at a 0% rate (because of the standard deduction and personal exemptions). They could also do some at the 10% rate. State taxes would be in addition to both of those. So they would end up being able to put their money into a Roth IRA, money that will never be taxed again, and save EVEN MORE in taxes because they did it on their own schedule through a conversion rather than locking themselves in with a contribution. This opportunity doesn’t only come up when you start a business. There are many reasons why you might be in a lower tax bracket in the future and could potentially take advantage of this. Maybe you go through a period of unemployment. Maybe you change careers and temporarily take a lower salary. Maybe you have a child and one parent decides to stay home. Maybe you retire early. The point here is that the conversion option gives you flexibility and choices, but only if you start with a Traditional IRA contribution. A Roth IRA contribution locks you into your current tax bracket. As of 2017, there are no income limits and no limit to the amount you’re allowed to convert. So this option is open to everyone. When discussing taxes, people often only talk about Federal income tax rates. That is, someone will say they’re in the 15% tax bracket, meaning they pay 15% in taxes to the Federal government. But many states have their own income tax on top of the Federal income tax, and in some states the tax rate is fairly high. And Traditional IRA contributions are deductible for state tax purposes as well. Depending on where you live now and what your future plans are, it’s possible that you’ll one day live in a state that either has a smaller income tax or no income tax at all (Florida anyone?). If that’s the case, you could save some real money by contributing to a Traditional IRA, getting the benefit of the state income tax deduction today, and later on getting the benefit of withdrawing it while in a lower tax bracket. As a quick example, let’s say you live in a state with a 5% income tax. If you contribute to a Traditional IRA today and then eventually move to Florida, you can avoid ever paying that 5% tax on the money you contribute. It all depends on your personal situation of course, but this is worth considering especially if you currently live in a state with high income taxes. You can find details on your state income tax rate here: Bankrate State Tax Rates. There are a number of tax credits and tax deductions that rely on a number called AGI (Adjusted Gross Income) to determine whether you’re eligible to take it. Your AGI is simply your full income with certain things taken out, like contributions to a tax-deductible retirement account (such as a Traditional IRA or 401(k), not a Roth), contributions to a health savings account, moving expenses, etc. One of the reasons a Traditional IRA contribution can be so valuable is that it lowers your AGI. And the lower your AGI, the more likely you are to qualify for some really valuable tax credits and deductions. Saver’s credit: Up to a $2,000 tax credit. Completely eliminated for married couples once AGI exceeds $62,000. Child & dependent care credit: Up to $1,050 for one child, $2,100 for two or more. The amount you can claim decreases with AGI but is never completely eliminated. Medical expense deduction: You can only deduct the amount that exceeds 10% of your AGI (7.5% if you or your spouse are 65 or older). Obviously, the lower your AGI, the lower the threshold. Dividends and capital gains: This isn’t actually a credit or deduction, but taxpayers in the 15% tax bracket or lower don’t have to pay taxes on these. So lowering your taxable income with a Traditional IRA contribution can definitely help here. There’s another number, called Modified AGI (MAGI), that adds certain things back to AGI and is used to determine eligibility for other credits and deductions. One of the things that gets added back are Traditional IRA deductions, which slightly lessens the value of the Traditional IRA. Child tax credit: Up to $1,000 per child. Starts phasing out for married couples at MAGI of $110,000. American opportunity tax credit: Up to $2,500 per student for qualifying education expenses. Completely eliminated for married couples once MAGI exceeds $180,000. Lifetime learning credit: Up to $2,000 per family for qualified education expenses. Completely eliminated for married couples once MAGI exceeds $131,000. There are plenty more, and you should talk to a tax professional if you want to understand which might specifically apply to your personal situation. Traditional or Roth IRA? You can’t go wrong. Unfortunately, there’s no way to know for sure whether you’ll be better off contributing to a Traditional IRA or a Roth IRA. A definitive answer would require knowing both your future income and future tax rates, and there’s no way to be sure about either of those. Hopefully though, everything above puts you in a position to make a better, more informed decision for yourself. And no matter what, remember that both the Traditional IRA and the Roth IRA are fantastic retirement accounts. As long as you’re contributing to one of them, you’re in good shape. Once again, Matt, you are so right about this. I think only you and I get it. Let me add my 2 cents worth. 1. NO ONE has any idea what the tax rates will be a year from now, let alone 30 years from now. Any planning based on future tax rates is chasing rainbows. 2. With the traditional IRA, you avoid paying taxes on ever increasing income for 30+ years, you pay taxes on a smaller (probably) income for 20+/- years. It is most likely that you will pay much less total tax over a lifetime with a traditional IRA. 3. I did not see that you emphasized the importance of the compounding effect of the extra amount you get to contribute. An extra X per year (the taxes you didn’t pay) will compound to a whole lot more than the taxes you pay with the Roth. 4. Because there is an early withdrawal penalty with the traditional, people are more likely to keep it intact for when they really need it – i.e. retirement. Keep up the good work. I hope it’s working for you. 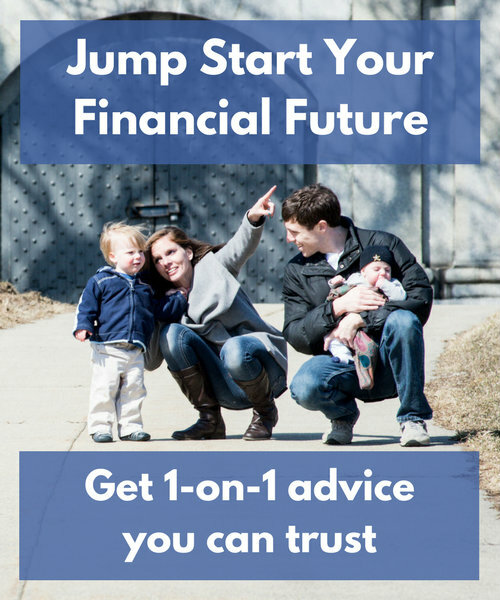 As I have said before, you are the only financial advisor I trust. Thanks Tom! I agree with all of this except for #3. If you are taxed at the same rate at the time of the contribution as you are at the time of withdrawal, you will end up with the same amount of money either way. So the fact that the larger contribution has more time to compound actually isn’t what’s causing the difference. It’s 100% attributable to the difference in tax rates. Yes, the additional Traditional IRA contribution was included and compounded in the example here. This is a fantastic breakdown! So true that every other post about Roth IRAs feels the same. Very few people understand marginal vs effective tax rates. Awesome post Matt never seen it broken down like this. I favor getting tax deductions now so I contribute more towards my 401k and Traditional. But you’re absolutely right tax diversification is important so we have a Roth account as well. Better to be diversified and have to make a decision later then go all in and be destroyed by future tax changes. Thanks Syed. I definitely generally favor tax deductions now as well. This is the best breakdown of pro’s vs. con’s that I’ve seen. Great job Matt! Matt, this post is an incredible resource! I had considered myself pretty well versed in the Traditional versus Roth conversation (mostly thanks to the Mad Fientist) but I learned a ton here. Thanks so much for taking the time to lay it out so thoroughly. You’re welcome! I’m glad it’s helpful Britt. The Mad Fientist is a great resource as well. I split our contributions as close to 50/50 as I can-half in Traditional and half in ROTH. I feel that it will give us flexibility in the future. Thanks for sharing Amy! That flexibility can definitely be helpful. I was looking into opening IRA and was leaning toward Roth IRA bc all the big personalities out there such as Ramsey and Ormond says that is the best way to go but your breakdown opened my eyes. I’m glad it was helpful Christine! Feel free to reach back out any time if you have any more questions. Two major issues immediately come to mind. First, the traditional IRA withdrawal will increase the AGI and make the Social Security benefit taxable. This will increase the tax burden by about $2000. Second, by age 74 traditional IRA required minimum distributions exceed 4%. This will result in an additional tax burden. Good points Steve. I actually included Social Security taxation in the example, so that point is covered. Though it would certainly look different at different levels of income. As for RMDs, you’re right that that’s another consideration. Having to withdraw more than 4% would increase the taxable portion of your income, like you say, though there are still plenty of scenarios in which you would still come out ahead that route. But these points are all worth factoring into your decision. Did you include the RoR you get from contributing in your calculations? Don’t forget that your capital gains grow tax free in a ROTH IRA while anything you get from capital gains in a traditional would be taxed upon withdrawl. Am I right about that? Honestly not sure. But I’m pretty sure I’m right. You are correct about that Andrew and that fact was included in the calculations here. Hmmmm, something is off here. Upon retirement, with a Roth, tax is 0, but with traditional, tax is always increasing. You’re making assumptions (i.e. efficient investor “robot”), and missing the HUGE effect social security ends up playing, i.e. it makes your tax bill go up quickly those years. It’s really a pretty simple decision. Secure tax free growth when you need the tax savings (i.e. at retirement) or instant tax savings gratification right now. Traditional is actually the “conventional” solution out there, just ask a CPA. Traditional is short sighted. Not good IMO. And YES you must figure in compounding in the Traditional analysis. And you must efficiently invest your annual tax savings despite market risk all those years. IDK this post seems like it’s trying too hard to justify stupidity by sounding contrarian and intellectual. Traditional is good in some situations, but definitely not for the low tax bracket saver. I HATE traditional IRAs and cringe when I see it recommended in knee jerk reactions by CPAs so they look good saving money in the moment. The annual tax on Traditional IRA withdrawals will in fact increase if your withdrawals are increasing, but that’s all a part of the plan and, again, the taxes were already paid on the front end with the Roth IRA. If the tax rate is exactly the same at the point of contribution as it is at the point of withdrawal, the amount of after-tax money you get from each account will be exactly the same no matter how the account grows or how long withdrawals last. The question is whether the tax rate is the same or different, which is the main point of this article. As for Social Security, you’re absolutely right that it plays a role in the decision. But that is factored into the example here and the Traditional IRA still comes out ahead. That won’t always be the case and you should definitely run your own numbers. Sometimes your other income sources – such as Social Security, pensions, rental properties, etc. – will push you into a high enough tax bracket by themselves and the Traditional IRA will be a bad deal. But the existence of Social Security is not enough of a reason to avoid a Traditional IRA. Again, I love the Roth IRA and there are plenty of cases where using it is the right move. But there are also plenty of cases where the Traditional IRA is actually the more efficient account, even for people in lower tax brackets. Very insightful article. I have a Traditional IRA from rolling over a 401k from a previous employer. Now, I max out my Roth IRA at the beginning of the year as a birthday present to myself. As a single person I do wish they would at least double the amount you can contribute annually. For me I see the most important benefit of a Roth IRA is having the ability to control the money during retirement – meaning there are no required minimum distributions so you can allow the money to continue compounding. Hi Matt (and anyone else who cares to answer)—I’m chewing on all this, and I’m pretty sure I disagree with your conclusion, but I’d love for you to convince me otherwise. This whole theory hinges on the logic that you should compare your marginal rate now with your effective rate in retirement, as if you didn’t also have an effective tax rate now. Isn’t that flawed? It seems to me like you’re seeing an advantage to traditional contributions because you’re comparing apples to oranges. Your effective rate is essentially your actual tax rate; you can understand it as the true rate you paid on all of your income for the year, no? By that logic, my Roth contribution this year isn’t taxed at 15% (or whatever the bracket is). It’s taxed at my effective rate, just as a traditional withdrawal would be in retirement. The real question is, which is higher—your effective tax rate now or your effective tax rate in retirement? If you expect your effective tax rate to be higher in retirement (because your marginal rate will higher), then you should opt to pay taxes now. If you disagree with the above, please articulate why. I’m having trouble justifying your rationale. Obviously, there is a rationale to both types of contributions. As a personal example, my wife and I earn enough to land in the 22% tax bracket in 2018. However, I chose to make enough traditional contributions to our 401(k)s to land us in the 12% bracket (once the standard deduction is factored in). I then chose to make Roth contributions to our IRAs, since our marginal (and effective) tax will be reduced this year. That logic is sound, right? It’s a good question Daniel and to be perfectly honest, your personal example kind of makes my point for me. You chose to make 401(k) contributions because your marginal tax rate was high enough to justify that decision. You didn’t look at your effective tax rate to make that decision. You correctly made it based off your marginal rate. Then, once your marginal rate was low enough, you decided to switch over to Roth contributions. The main difference is that your annual contributions are likely to be smaller than your annual withdrawals. So it’s much more likely, though not certain, that your contributions will fall into a single tax bracket (a marginal tax rate) while your withdrawals will span multiple tax brackets (an effective tax rate). That’s why I talk about marginal vs. effective. Of course there are exceptions, and as I mention in the article you have to run the numbers for yourself and make your own personal decision. 1. There’s more to your effective rate than just the progressive tax brackets. There are also various deductions to consider. For example, I’ll probably take the standard deduction of $24,000 this year. With that factored in, the effective rate I paid on this year’s Roth contributions is lower than my marginal rate. It may be easier to completely ignore these deductions for the sake of comparison, but I’m not sure if that’s what you did in your example of the couple with the effective rate of 2.44% in retirement. In that example, are you factoring these other deductions into your calculation? If you are, then to make a fair comparison, wouldn’t you need to consider them on the front end as well? Also, are you arriving at such a low effective rate due to the fact that their Social Security funds likely aren’t subject to full taxation? Because that will be true regardless of whether they made Roth or traditional contributions, right? Your spreadsheet doesn’t show the work, so I can’t follow how you arrived at the 2.44%. But it seems to me like you’re considering some valuable tax exemptions on one end and not the other, even though both ends have valuable deductions to consider. Again, maybe it would be easier to ignore them altogether and only look at the effective rate is it pertains to tax brackets, which might be better called a “blended” rate, so as not to confuse it with the effective rate. This leads me to question 2. 2. You’re saying my withdrawals will span multiple brackets while my contributions probably won’t. That’s a big assumption that is not going to be true for a lot of people (although it will probably be true of a majority). My example proves this. Had I only looked at my marginal rate of 22% this year, I would have to assume that my contributions would be taxed at (or not taxed at) 22%. With that logic, I probably would have chosen to make exclusively Traditional contributions. That’s not the case though. My contributions spanned both the 12% and 22% brackets, so the effective rate of them would be a blend of the two. Yes, I lowered my marginal rate with trad. contributions, then switched to Roth for my new marginal rate, but isn’t looking at multiple marginal rates essentially the same as considering the effective/blended rate, as you describe it? Wouldn’t the more accurate advice be that you need to look at the blended rate of your contributions (as they pertain to tax brackets) and compare them with the potential blended rate of your withdrawals (as it pertains to brackets). That’s an apples to apples comparison. Or, I could compare marginal rate to marginal rate, assuming I’m strategic about my withdrawals in retirement: I could use the same tactic then that I used this year, taking out traditional withdrawals when my marginal rate is lower, Roth withdrawals when it’s higher. I sense that you’re treating contributions as your last dollar earned, but your withdrawals as your first, second and third dollar earned. This isn’t entirely wrong, but it’s not entirely fair, either. If I have 25k of income in a given year in retirement, and I choose to take a $20k withdrawal from a trad. fund on top of that, that withdrawal will be taxed as my last income earned for the year, just as it would have been pre-retirement. (If that 20k withdrawal is from a Roth fund, then it won’t be taxed at all.) What you need to compare is the blended rate of your marginal brackets now with the blended rate of your marginal brackets then. Sorry for the novel; just trying to wrap my head around this. There’s a lot of good questions here Paul. Let me try to work through them. First, I want to be clear that I am definitely not arguing that Traditional contributions are always better. There’s an entire section in this post dedicated to reasons why a Roth IRA might be preferable and there are certainly plenty of situations in which that’s the case. I’m also not saying that the math presented here works out this way every single time. Every situation is unique and it is always important to run your own numbers. I am saying that the conventional wisdom around this topic, which is to compare your marginal rate today to your expected marginal rate in retirement, is flawed and that it often overstates the value of Roth contributions. So the point of the main example here – which is just that, a single example – is to show how the Traditional IRA can come out ahead even in a situation that, based on the conventional wisdom, would seem to clearly argue for Roth contributions. Second, the standard deduction is not part the equation when evaluating contributions because in most cases you will get that deduction regardless of which route you choose. Neither a Traditional nor a Roth contribution changes that deduction, so it is irrelevant to your decision. However, there are other deductions that may well be relevant to the decision and that may advocate for Traditional contributions. I talk about this in the section titled “3 More Unconventional Reasons to Contribute to a Traditional IRA”, but one example is the child and dependent care credit, where you can claim a bigger credit with lower taxable income, and you can lower your taxable income by contributing to a Traditional IRA. Another example is the health insurance premium subsidies available through the ACA, which are also based on taxable income. Making Traditional IRA contributions could potentially lower your taxable income to the point where you qualify for those subsidies, which Roth IRA contributions cannot. Third, yes it’s true that only a certain percentage of Social Security income is taxed regardless of whether you make Roth or Traditional contributions. But that fact is already incorporated into the math shown in my example, and you can see the results. Again, the comparison is between your tax rate at the time of contribution and your tax rate at the time of withdrawal. So even if your tax rate is low at the time of withdrawal for both the Roth and Traditional route, in one case you got a deduction at the time of contribution and in the other case you didn’t. Fourth, yes you are correct that your contributions can span multiple tax brackets, as your personal example shows. It’s also possible that your withdrawals may occur within a single tax bracket. Again, this post is not meant to say that one way is always correct. It’s just meant to show people a different, and often more accurate, way of thinking about it than the conventional wisdom. But it’s always a good idea to run your own numbers, as you did. I’m not sure if that answers all your questions, but it’s the best I can do right now. Thanks for taking the time to read and engage with the post! I really appreciate it.